Elizabeth Warren wants to be President. So she must clean up her past. That’s what Leftists do, especially feminists. Remember Christine Blase-Ford? Democrats tried to scrub her promiscuous past, when they attempted to frame then-Judge Kavanaugh. Leftists scrubbed Blase-Ford’s high school yearbook that clearly showed she lied about Kavanaugh’s past behavior. For Democrats, the lie was for the greater good. So what they lied to block a Conservative from being on the court, and potentially ruined a man’s life. He’s a white man, ergo deserved of any bad future implications the lie creates. But the same is not true for Leftist women. Elizabeth Warren is allowed to put her lying, conniving, deceitful past behind her. No harm, no foul. What’s so funny about Warren’s situation is she created the lie, stuck to the lie, then outed herself about the lie. She had no way to prove her American Indian ancestry. So in typical Democrat fashion, she merely believed her own lie. She “hoped” her way to American Indian ancestry. For her, that test would miraculously indemnify her, and she could rub her lie in Trump’s and other Conservatives’ faces. Now yet again, Warren wants to apologize to the Cherokee Nation. She says she wants to honor them in her apology. But in truth, she’s hopeful she can put this matter to bed never to be discussed again. If Warren is to be the Democrats’ presidential candidate, she must make sure everybody has forgiven her. Thus, when Trump brings it up (and he would), she can say that she’s been forgiven. 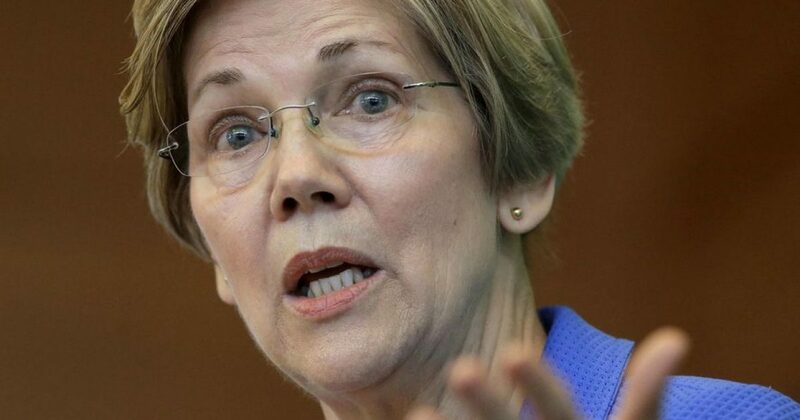 Warren believes “Native Americans” will trump Trump, should he (or anybody else) throw her identity theft in her face. Sadly, Warren didn’t decide to issue this apology until tribal leaders criticized her. Warren knew she wasn’t Cherokee. But the distinction got her ahead in her career, so she milked it. And she would have continued to milk it if President Trump didn’t call her out. Now, Warren will do anything to get revenge, including run for the Oval Office. Remember, it was just a few weeks ago when Warren tried to “fit in” with Americans by drinking a beer in a bizarre video. If her Native American delusions aren’t enough to prove Warren is insane, then her willingness to battle Trump should do the trick. In fact, Trump is giddy over the possibility of running against Warren. And he also suggested Warren call her psychiatrist, because she’s clearly lost it. But I think the best idea is to let her run. A debate between Trump and Warren is bound to be the world’s greatest smack down. And now that Warren apologized for using her trace amounts of Native blood, Leftists will give her a pass. Only because she’s a democrat and they’re desperate. Because if any Republican tried this, there would be no forgiveness.